Carmen Mercedes McRae (April 8, 1920 - November 10, 1994) was an American jazz singer, considered one of the most important of the 20th century Carmen McRae was born in Harlem in 1920, and studied piano as a child. As a teenager she came to the attention of Teddy Wilson and his wife, the composer Irene Kitchings Wilson. Through their influence, one of McRae's early songs, "Dream of Life", was recorded by Wilson's longtime collaborator Billie Holiday. 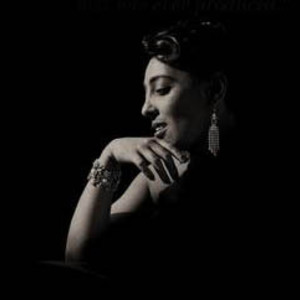 Carmen McRae was born in Harlem in 1920, and studied piano as a child. As a teenager she came to the attention of Teddy Wilson and his wife, the composer Irene Kitchings Wilson. Through their influence, one of McRae's early songs, "Dream of Life", was recorded by Wilson's longtime collaborator Billie Holiday. By the late 1940s she was well known among the modern jazz musicians who gathered at Minton's Playhouse, Harlem's most famous jazz club, where she was the intermission pianist. But it was while working in Brooklyn that she came to the attention of Decca's Milt Gabler. Her five year association with Decca yielded 12 LPs, many considered jazz vocal classics. Her live 1987 duets with Betty Carter are highly regarded (see Duets: Live at the Great American Music Hall). The musicians she sang with include Benny Carter, Mercer Ellington, Count Basie, Sammy Davis Jr., Dave Brubeck, and Louis Armstrong. As a result of her early friendship with Billie Holiday, she never performed without singing at least one song associated with Lady Day. She was married once (and briefly), to drummer Kenny Clarke.